Nimesh Bhagat and Andrew Ashley worked by day as IT problem analysts for a large casino group. They were successful IT contractors however they used their technical knowledge to devise a way to steal thousands from casinos by forging winning betting slips. The two analysts stole at least £33,000 before they were caught by accessing software which was used to control the remote betting machines at four London casinos.The pair both admitted the theft which took place between July and September 2007. Due to their guilty pleas the pair escaped with suspended sentences of 12 months each. This scam was concerned with the betting terminals you can find at casinos, these are used to allow punters to place bets on roulette wheels without actually being at the tables. The pair used their knowledge of these systems to print out winning tickets without the win actually taking place. The tickets where then cashed for the winnings. It was actually quite simple for them to use their their knowledge to ensure that the machine printed out a winning ticket whatever the result of the bet placed. In fact the only reason they were caught was a combination of carelessness and greed. A cashier noticed that a winning ticket contained an impossible payout of 600, the wager had been a 10 pound bet at odds of 35-1 !! Officials where then able to trace back a string of suspicious wins back to the two individuals who were both employed as problems analysts by the casino group. Both pleaded guilty to theft under the 1968 Theft act. The court sentenced them to serve 200 hours of community service in addition to the suspended sentences. They were also ordered to pay back approximately 16000 pounds each to their ex employers. These men not only used their intimate knowledge of two complex systems to break the law and make these fraudulent claims, they also breached the trust of their employers. The convictions are surprisingly, probably the first where individuals have been caught manipulating the extensive computer systems that run the UKs thriving gaming industry. The use of technology to enhance our gaming experiences obviously brings risks of games being manipulated. 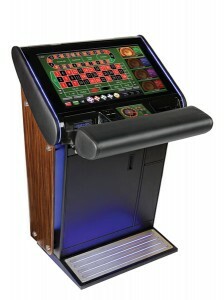 To see a proper live roulette wheel – have a look here. There are many instance of ‘Poker bots’ being used to play online poker games for cash and the manipulation of online roulette games is obviously very easily achieved by quick change of code in a Random number generator for instance! My distrust of these computer simulated wheels only grows when I read stories like this, although to be fair even live roulette could easily be faked – I’d like to see the Dublin Bet live video stream cut to the clock in the casino occasionally, although to be honest when I’ve visited the Fitzwilliam Street casino I don’t actually remember ever seeing one! Most people would not even notice how many fingers were placed on a cigarette, but for Van Thru Tran, the main character in this tale of a great USA casino scam, noticing the number of fingers on a cigarette was worth millions of dollars. One finger meant bet, two fingers meant stand pat. This clever signaling system won the Tran gambling ring $900,000 in a single sitting of blackjack. It was almost like the signals between a catcher and pitcher in a baseball game, noted one FBI agent assigned to surveillance of the Tran Organization. Made up of forty-five year old ring leader and seductress Van Thu Tran and other co-conspiritors — including her husband, parents, and three generations of extended family — the ring hit twenty-nine casinos across Canada and in eight states in the U.S.: Mississippi, Louisiana, Connecticut, Indiana, Nevada, California, Washington, and Idaho. The scam worked because it was simple. It also worked because the organization controlled every facet of the table. Like any mamma-pappa venture, the Tran Organization started out small and increased in numbers as it grew in earnings. In 2002, in San Diego Tran and her husband were dealers at an Indian tribal casino. The couple formulated a plan that used a “false shuffle” to track cards which naturally would assure successful betting. Their modus operandi always involved a false shuffle and a “slug.” A slug is created when the dealer pretends to shuffle all of the deck. Instead, through sleight of hand he holds several cards wherein the order of those particular cards does not change while he shuffles the remaining deck. When it was time for the slug to come into play, signals were given to members of the Tran Organization to come to the table and bet. Once the cheaters were at the table, the simple signals for when to bet or to stand were given by a person who knew the sequence of the cards. Because the organization was able to successfully evade detection by security cameras and pit bosses, The story of the great USA casino scam continued unabated. The ring stepped up its activity by employing a web of co-conspirators who used concealed microphones and transmitters in conjunction with special computer programs. Signals were now conveyed from a distant location inside the casino, making detection more difficult. In the beginning, the operation was a mere bare bones scamming venture that involved only one card game, the Asian card game of Pai Gow at a San Diego casino. However, as the couple gained confidence in not getting caught, the scam moved to other games and then to other casinos. Over a period of time, the Tran Organization expanded to include blackjack and enlist fifty-plus other people in the betting scheme, which also included several dealers. Tran would seduce male dealers at other casinos and then bribe them with the promise of easy money. All a bit more glamorous than an evening spent playing live roulette at home in your pajamas I guess. The scheme would go unnoticed for approximately five years. Because the security at certain tribal casinos was not yet advanced enough to detect the scam, the Tran Organization was able to amass seven million dollars before it was rounded up in 2007 and The story of the great USA casino scam would take a different turn.